Cookie-cutter sharks were once known as cigar sharks, because nobody knew just how they ate. Once a biologist discovered their secret, it explained the mysterious deep holes made in the equipment of nuclear submarines. Isistius brasiliensis isn’t scary. It’s only about a foot-and-a-half long and thinner than most adults’ wrists. There is one problem with it—it thinks nothing of attacking animals a lot larger than itself. Up until the 1960s, it didn’t occur to biologists to connect this innocuous-looking shark to the deep, crater-like bites that they saw in tuna, in dolphins, and in whales. It wasn’t until 1971 that Everet Jones published a paper suggesting that the “cigar shark” was responsible for the “crater wounds” on fish and cetaceans. In 1969, Jones had been on an expedition during which he caught tuna with deep circular wounds. A day later, the expedition brought in more tuna, which shared a net with these small sharks. When Jones took a shark and placed it against the side of a fish, the shark bit into the fish, making a comparably-sized wound, but it was too weak to actually take out a chunk of flesh. Later experimentation showed that if Isistius brasiliensis were lively enough, it would form a seal with its lips and bite deep. This is when the cookie-cutter got its name, and its reputation. 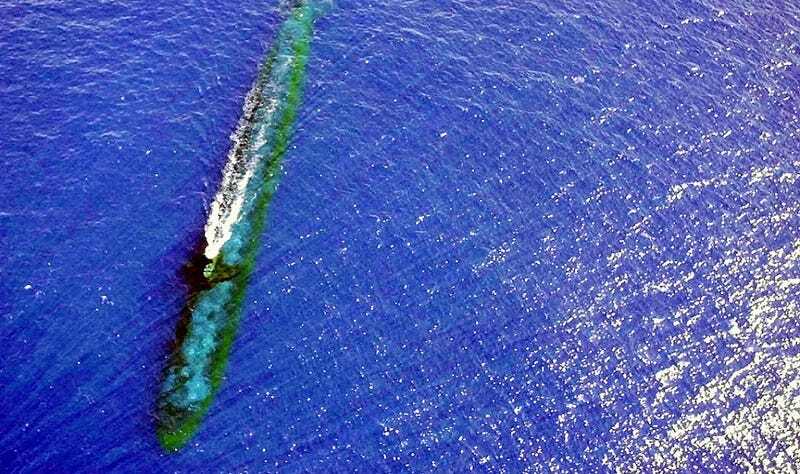 That reputation was enhanced in 1978, when C. Scott Johnson published a paper entitled, “Sea Creatures and the Problem of Equipment Damage.” Submarines put up a probe when surfacing in crowded waters. This probe and its connecting equipment are covered in thick rubber, and the rubber was being mysteriously damaged. Johnson discovered that the deep gouges in the rubber were due to cookie-cutter sharks, which apparently saw nuclear submarines and figured that they would make a very good meal. But don’t worry about it too much. Only one person, a long-distance swimmer, has ever been attacked by a cookie-cutter shark. It came after him twice in fifteen seconds, and gave him a nasty deep bite on his calf, but he survived. These things are only really dangerous if you’re a submarine.